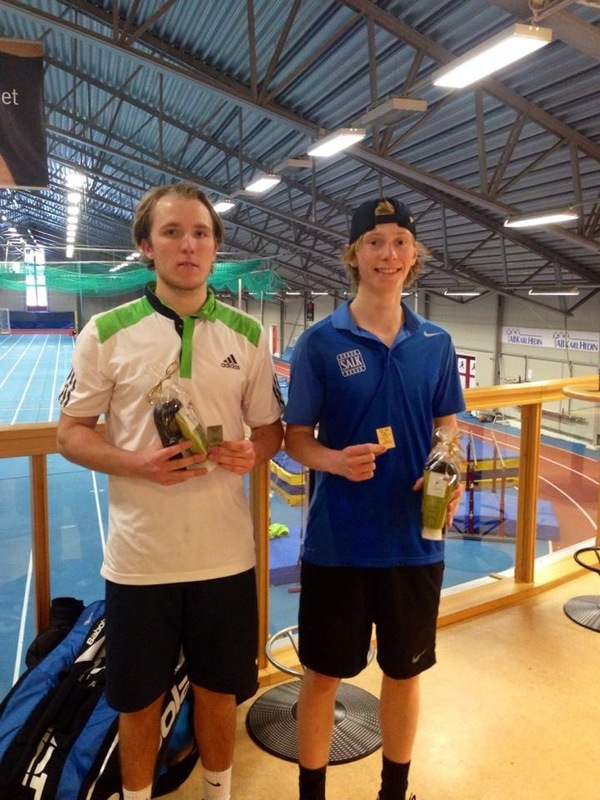 Johan Jonhagen (right) wins the U21 Swedish National Indoor crown. Future Ute Johan Jonhagen, who signed an NLI with Utah in November 2013, has won the under 21 Swedish National Indoor Championships. In the finals Jonhagen beat No. 1 seeded Filip Karlsson (ATP ranked 1594) in a closely contested three hour battle; 7-6(6), 3-6, 6-3. To reach the finals, he beat No. 2 seeded Jeppe Johansson Holm,6-4, 7-6(4), in the semifinals and Eric Ahren Moonga, 7-6(3), 7-6(2), in the quarterfinals. In doubles play, Jonhagen, partnering Eric Ahren Moonga, beat the No. 1 seeded team in Sweden in the quarterfinals, but ended up falling in the semifinals. Jonhagen is scheduled to join the Utes in August of 2014. This entry was posted in Recruiting News and tagged Eric Ahren Moonga, Jeppe Johansson Holm, Johan Jonhagen, Sweden, Swedish National Champion, U21. Bookmark the permalink.